Standard Life Aberdeen is a global investment business and our purpose is to invest in a better future for the benefit of all our stakeholders. As Head of Corporate Sustainability, I work to ensure we take a long-term view of risks and opportunities and that we do business responsibly. Within that, I have specific responsibility for our approach to charity programmes and partnerships. 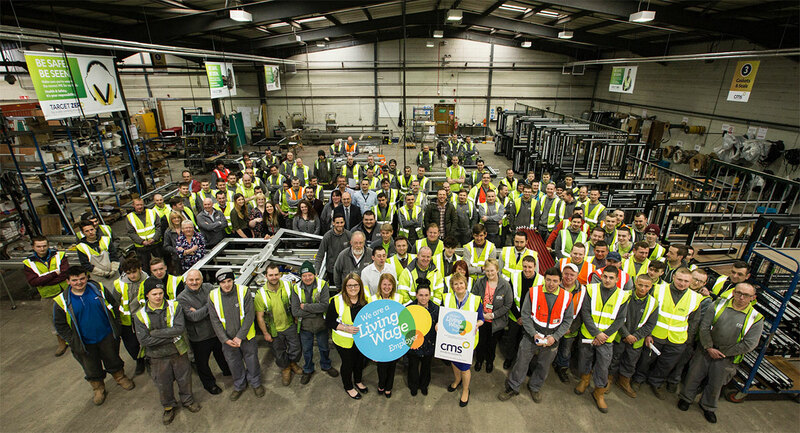 We became an accredited Living Wage Employer in 2014 because it was in keeping with our values and our focus on community investment to break down barriers to decent work and help people look forward to a better future. As an investment company, we believe that paying the real Living Wage is a sustainable employment practice, delivering benefits to employee engagement, productivity and retention. As well as implementing the real Living Wage in our supply chain, we also extended it to internships and apprenticeships because we wanted to ensure our entry level roles and talent pipelines are as inclusive and accessible as possible. When the Living Wage Friendly Funder scheme was introduced in 2015 we saw this as a logical extension of our existing Living Wage commitment. When we work with charities it is in partnership for a shared, strategic goal and we place huge value on those partnerships and the people we work with. The current economic context has resulted in sources of charity funding following an ever-decreasing pattern. While this can have the potential to encourage innovation and efficiency, it also has the potential to drive a "race to the bottom". Many charities will tell you they’re seeing a rising demand for their services at the same time as they’re seeing increasing pressure on their finances. We won’t refuse funding for a charity if they couldn’t pay an employee the Living Wage. We know from conversations that some have clear reasons why it’s especially difficult. However, we do want to be part of a movement that means that we can help deliver progress towards better rates of pay in the sector. And we definitely don’t want the level we fund at to be the reason why people who are charity beneficiaries, or who work at charities, aren’t rewarded with a fair day’s pay for a hard day’s work. A recent study showed that a higher percentage of charity workers are low paid (26.2%) than across all sectors in the UK workforce (22%). Where we can have a positive impact in this sector, we have. We’ve worked creatively to fund internships at the Living Wage, to help charities pay young people benefiting from their programmes or on placement with businesses. There are many ways to be a responsible funder, from the Friendly Funder initiative, to supporting full core cost recovery, or providing pro-bono expertise and skills alongside funds. There are many excellent trusts and foundations leading the way across these areas and the core value that they share, in my view, is approaching funding as a partnership exercise aiming to achieve shared goals. Listen to the needs of the charities you’re working with and don’t expect the unreasonable and think that charities can, or should, try to deliver ever improving results on the cheap. If you value what they do, demonstrate that through your actions and join the movement against low pay to ensure more charity workers earn a real Living Wage.